The price is for one stirrer. 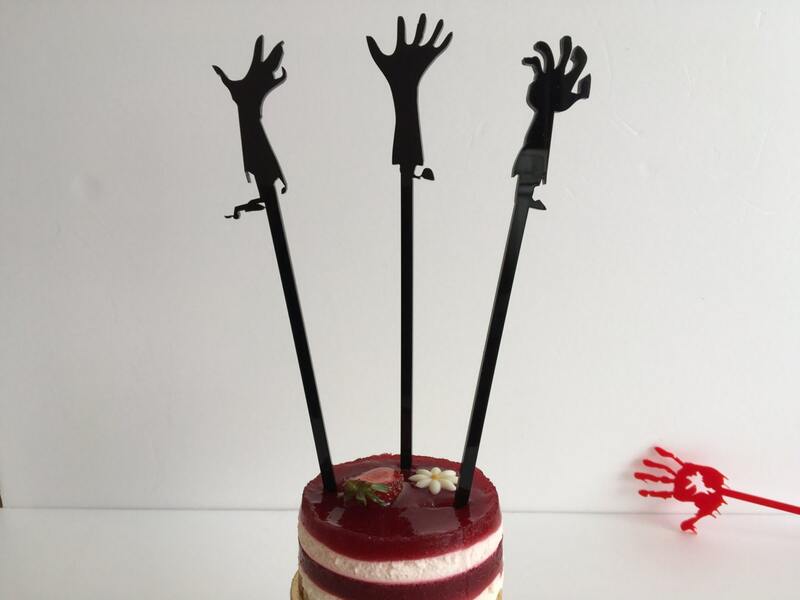 Acrylic zombie hands silhouette. 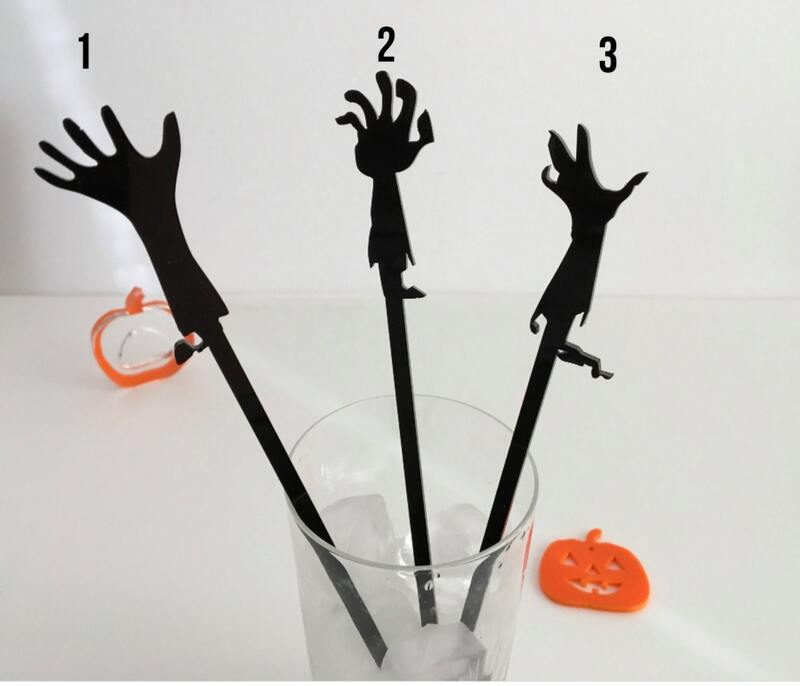 Halloween Zombie stirrers! 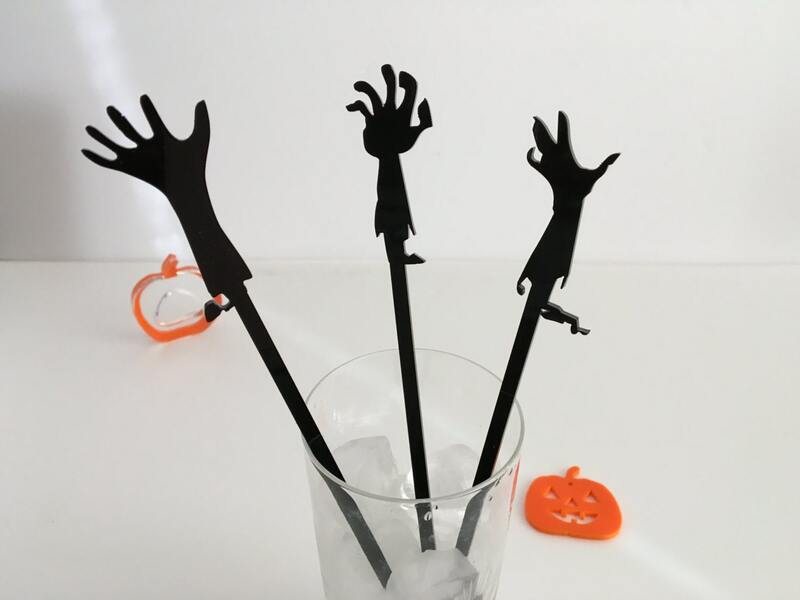 These cake toppers or drink stirrers can be used for cakes, cupcakes, flower pots, desktop decor, props for photo styling,Cocktail and more. 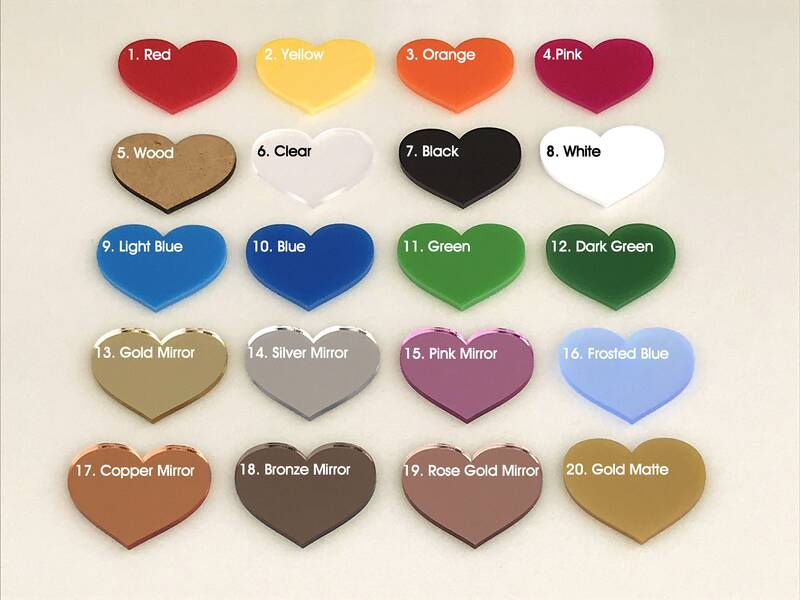 The ornament is made from acrylic and can be customized with the colour of your choice. 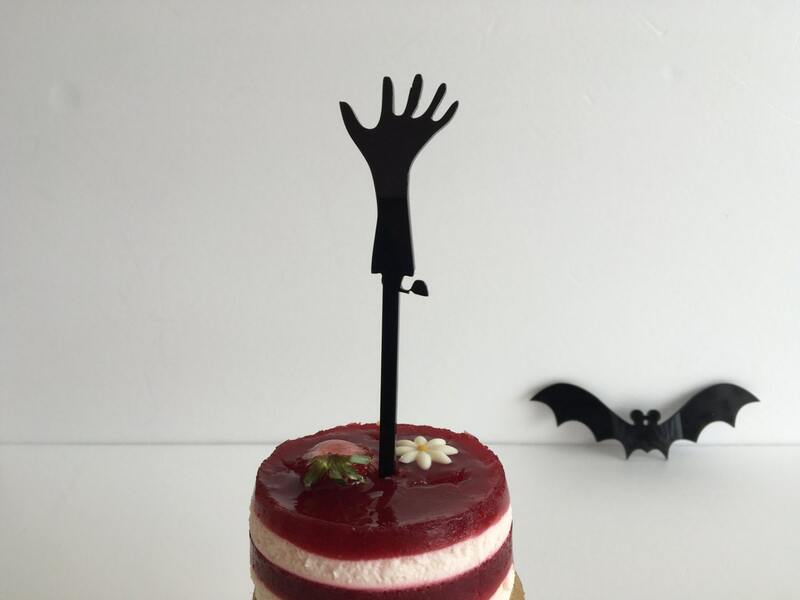 We can produce this zombie hand in 1-3 business days after you order.